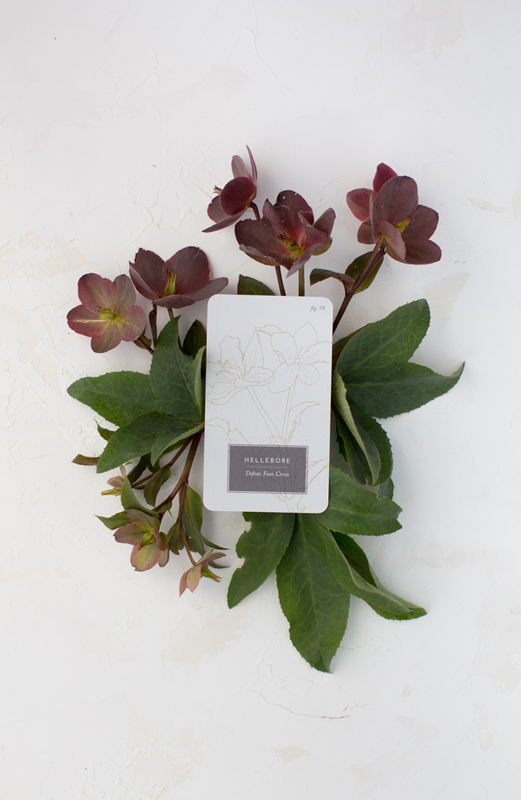 The deck features 78 botanical cards, each with an original hand-drawn illustration. Each card features a three-word meaning linked to a traditional Rider-Waite tarot card, so you can pull cards and know the meanings without having to refer to a guidebook. The cards are numbered for easy reference to the Guidebook, and a free digital download of the booklet comes with each deck purchase. The tuck-top cardstock box is foil-stamped with gold detailing, and the edges of the cards are also flecked with gold. The guidebook outlines the connection of each plant to the Tarot card it’s paired with, and goes a tiny bit deeper into the traditional Tarot meanings. The booklet also features an introduction with three sample spreads to guide your readings. Pair the deck + guidebook with a luxurious velvet bag, perfectly sized to fit both items with extra room for crystals or talismans. I keep a selenite crystal in mine, to clear the energy of my deck every time I tuck it away. 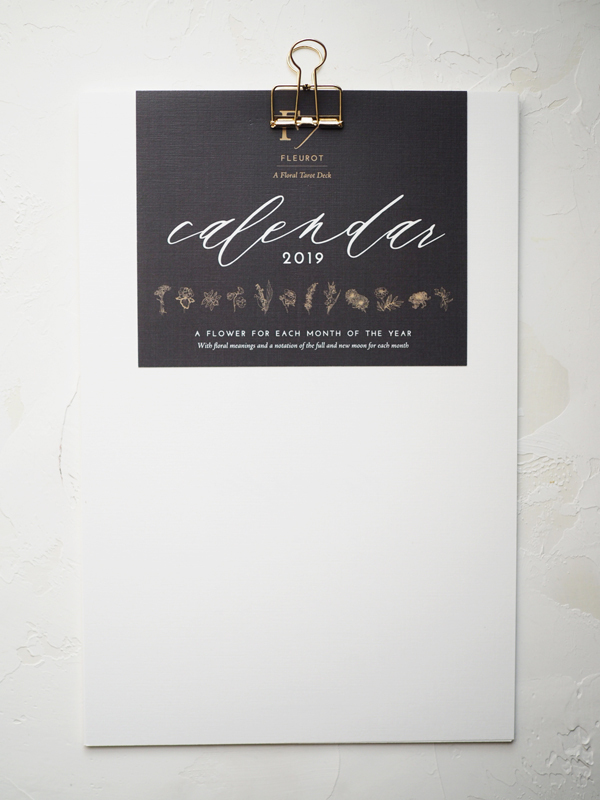 A 12-page 8x12” calendar for 2019, with botanical illustrations from the Fleurot Deck and their meanings. Each month also features indicators for the full and new moon in the Northern hemisphere. Digitally printed on a white linen cardstock and bound with a gold clip at top for easy hanging. Pair with the 2019 Moon Phase Calendar for a super intentional new year! This unique circular calendar has all of the info you need to be on top of the moon phases for 2019 in the Northern hemisphere! The calendar features full and new moon phases for each month, designed in a circular format that can be turned along with the Earth. 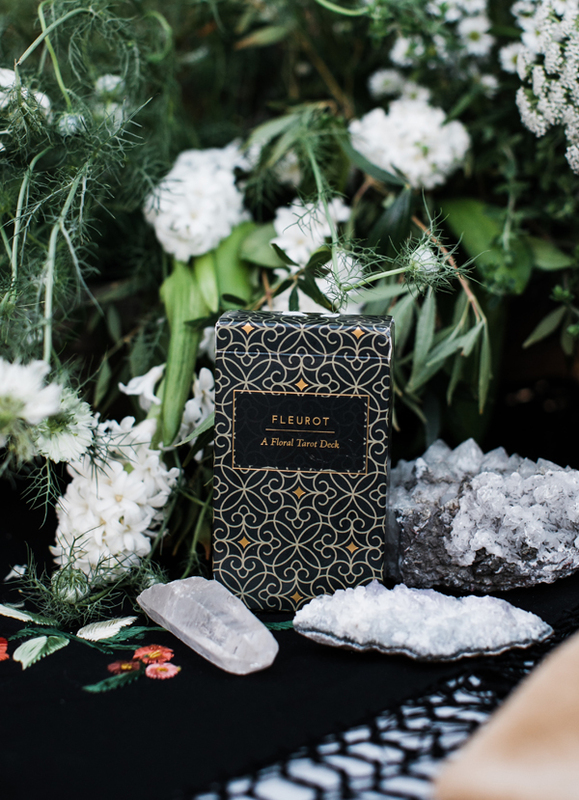 It also indicates the astrological sign the moon is in, as well as the flower for each month of the year, with illustrations from the Fleurot deck. This 8” circular calendar is foil printed in metallic gold on a charcoal cardstock, and attached via a gold brad to a 9x9” cardstock undersheet. Pair with the 2019 Wall Calendar to cover all of your bases in the new year! Adorn your home with this 11x14” herb print, featuring botanical herb drawings from the Fleurot deck. It is printed on light gray cardstock with a digital gold metallic sheen, and it fits in a standard frame. The perfect addition to a kitchen or creative space. Adorn your body with this 4x6” sheet of intentional temporary tattoos, featuring six of the botanicals from the deck. Choose an intention and a place on your body to be your visual reminder. Apply your tattoo as you mindfully breathe in your intention. 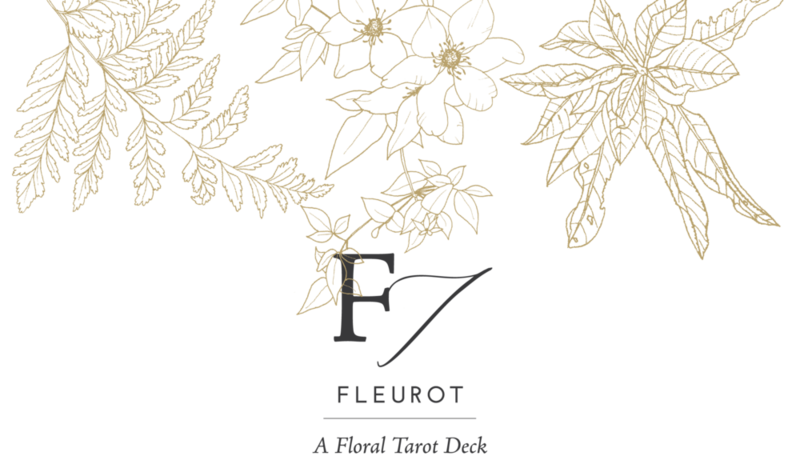 Find Fleurot at your local boutique retail shop - support small business and shop local! Are you a retail shop interested in carrying this deck? Email me! I am so excited this deck is finally making it's way out in the world! Interested in my the behind-the-scenes process?